This section includes helpful information and resources for prayer events. The aim is to bringing together anyone in your area who has a heart to pray for schools for an evening of thanksgiving, strategic planning and intercession for local schools and wider education policy. We have free resources available below that will help you get started. N.B these are provided as jpg images for you to use as a background on your publicity. Right-click on the picture and choose ‘save as’ to save the image to your own computer. 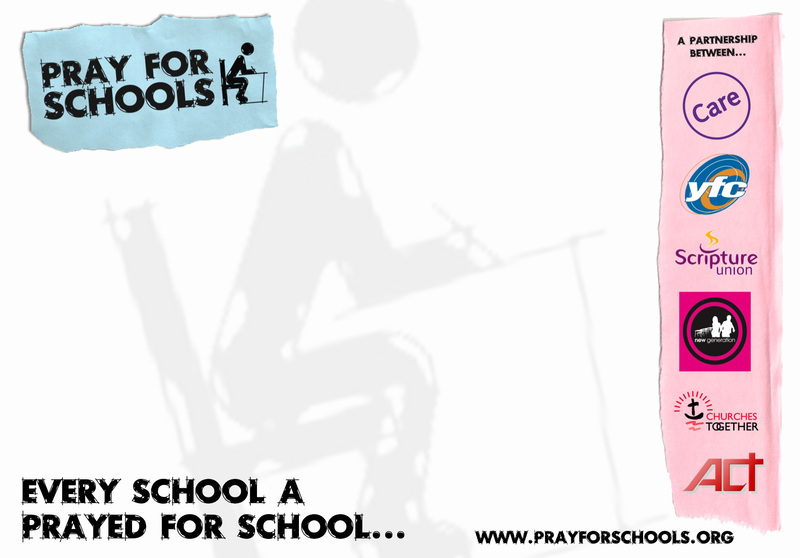 The Pray for School logo and Partnership strip are property of Pray for Schools and are made available for use in publicity relating to Pray for Schools events. Please contact us if you would like artwork sent to you. We have three template letters of invitation for you to use as you invite people to your Pray for School Event. Let us know if you would like us to email these to you. 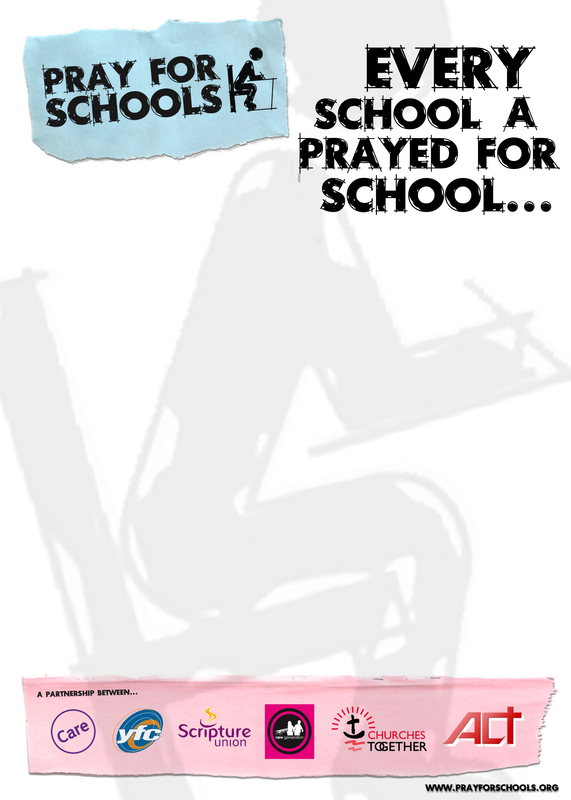 These include Back to School Sunday, Pray Day for Schools and Education Sunday. You can download specific resources for these events from the website links below. Late August/early September Encourage your church to pray for, and ‘commission’ the children, teachers and schools workers who are returning to school for the new academic year. In Scotland this is held at the end of August – we suggest a Sunday in September for England, Wales and Northern Ireland. Third Thursday in November. 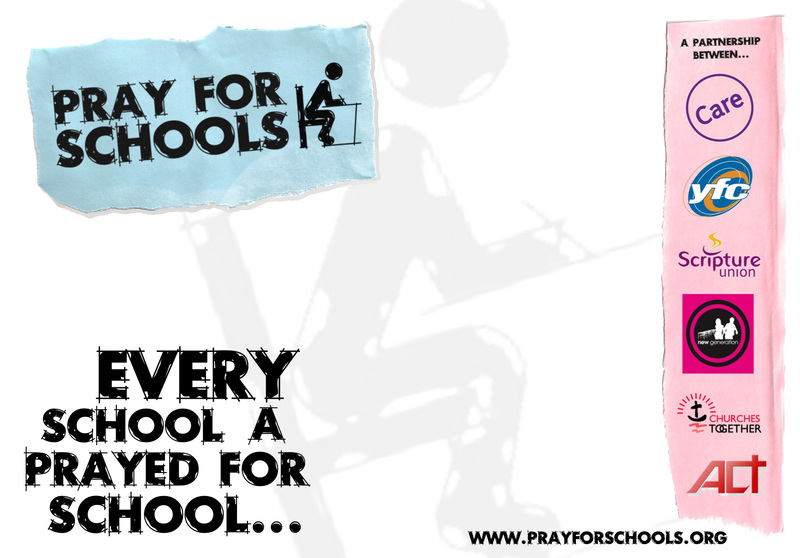 A Europe-wide prayer event promoting prayer in, and for, schools. Information and logos are available from www.prayday.eu and the resource pack will be available in early September. This is the day when churches throughout the UK join to offer to God the work of education, in schools of all kinds, in colleges and universities and in the church. It is the time to celebrate the achievements of education, to recognise the challenges, and support and pray for all who are involved in education.